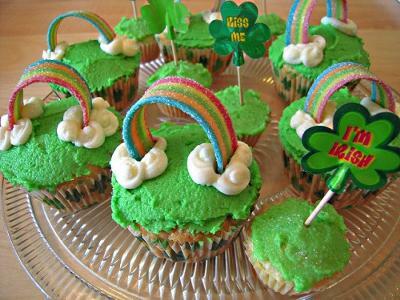 These cute rainbow cupcakes are perfect for St. Patrick's day or a kid's birthday party featuring rainbows as a theme. 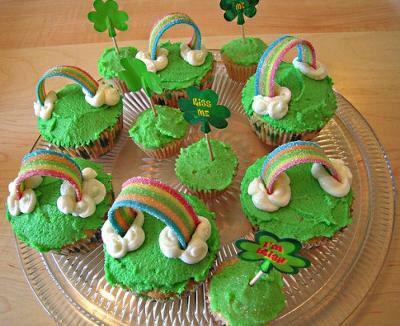 Cupcakes are made with vanilla cake, vanilla frosting colored with green food dye and cute candy rainbows made from Airheads Extreme. You cut the strips in half and you get about 16 rainbows from one package of Airheads. Thank you Jessica for allowing us the use of your cupcake photo!